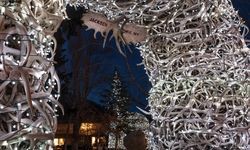 The ski experience at Jackson Hole has to be one of the most unique in the world. 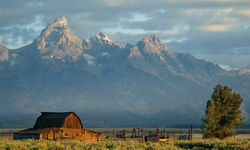 Rising out of the plains of Wyoming is the ridge-backed Teton Mountain Range. 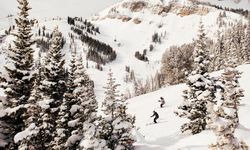 Dark, steep and imposing, these slopes are some of the steepest in the USA and attract some of the world's best skiers as permanent residents. 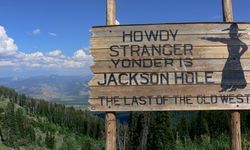 The ski area is a fifteen-minute drive from the old ranching town of Jackson, where cowboys in Stetson hats and spurred boots still walk the streets. 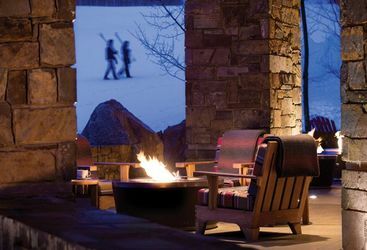 The ranching vibe is just as strong up at the Teton Village ski community and makes for a great atmosphere. The Mangy Moose bar even has swinging saloon doors. 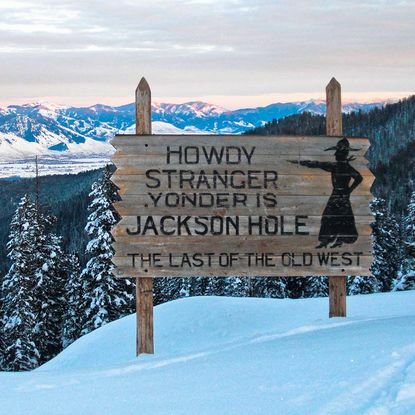 Jackson Hole averages a staggering 33ft of snow a year and enjoys some of the best skiing anywhere in North America. The valley turns white by mid-November and the season lasts till early April. Experts can tackle the likes of Corbet's Couloir, dropping down a 15ft vertical chimney just to get to the slope. 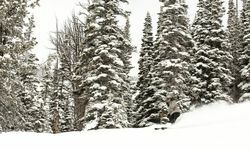 Beginners and intermediates have a slightly limited choice but there is still much fun to be had. 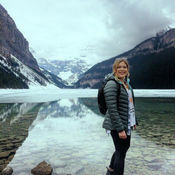 The valley also has other winter exploits with an outdoor adventure slant. 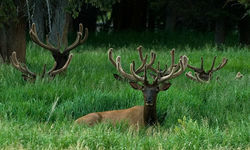 Snowshoeing to track wild animals, dog-sledding and sleigh rides in the National Elk Reserve are all on offer. Even better, Jackson is by no means a one season pony and is as popular in the summer months as in winter. 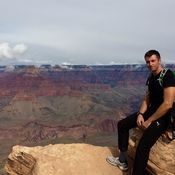 When the snow and ice has melted, the valleys and mountains are an abundant playground with fantastic hiking, biking and fishing, but there are some more unique experiences too, such as mountain-top tram rides, horseback adventures, rafting on Snake River and Wild West style rodeo shootout shows. Don a Stetson and spend an evening at the rodeo, a key part of the Western way of life. Watch steely cowboys ride the bucking bronco and check out the barrel racing where cowgirls on horseback steam tightly around a barrel. 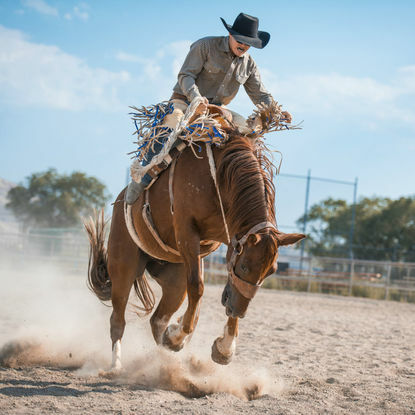 You can also see calf roping competitions and gritty bull riding displays. All the while, chow down on cheesesteaks and bison burgers to keep you fuelled throughout. 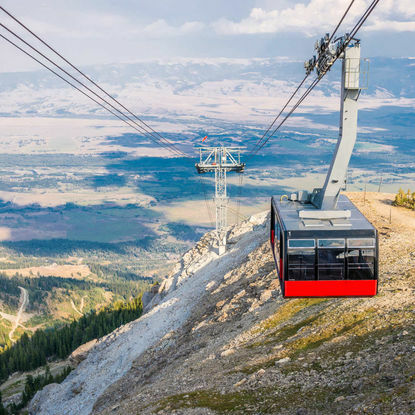 For a different perspective of the picture-perfect cowboy town, hop on the Aerial Tram up Rendezvous Mountain. 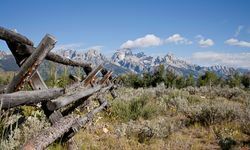 Glide up to 10,450 feet where you can soak up 360 degree views of the Tetons and the valley below. In winter, work up an appetite skiing down the mountain or trailing off-piste paths. Otherwise simply tuck into Nutella-oozing waffles at Corbet's Cabin, located at the summit. 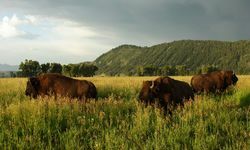 Take a safari through Grand Teton National Park; your expert guide will talk you through its pristine ecosystem exhibiting flora and fauna which has existed here since prehistoric times. 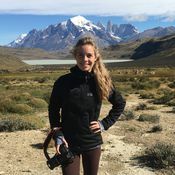 Traverse dense forest, ancient rocks and glacier lakes spying bison (although you may see them causing a few traffic jams), antelopes and moose in the wild. If you're lucky you may even spot a grey wolf, recently migrated from Yellowstone. 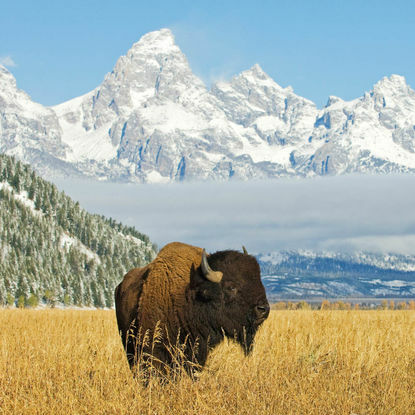 Jackson Hole, one of the USA's many American West cowboy towns, is the departure point for Grand Teton National Park and further north, Yellowstone National Park. 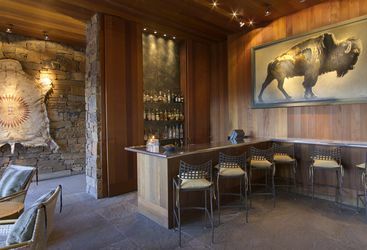 After spending the day skiing or exploring the geology and wildlife of the parks, unwind at the Million Dollar Cowboy Bar. At this iconic Jackson Hole institution, the bar seats have been converted in to makeshift saddles to add to the horseback experience.